Rewards Canada: April 3 Update: Now earn Aeroplan Miles with Payless car rental, RBC Rewards+ added to Rewards Canada & more! April 3 Update: Now earn Aeroplan Miles with Payless car rental, RBC Rewards+ added to Rewards Canada & more! Aeroplan members can now earn 50 Miles for each eligible Payless car rental at participating locations on and off airport including in Canada, U.S., and internationally. The Scotia More Rewards Visa Card celebratory 15,000 point sign up bonus has been extended to August 31st! However the current 25,000 point + FYF offer for the Scotia Gold American Express Card will be cut short on April 30th instead of July 31st. We don't know what the new offer will be on May 1st yet but as soon as we do we'll be sure to pass it along! 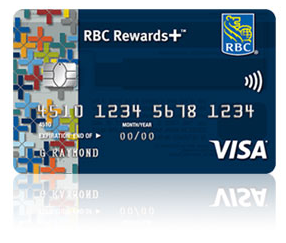 The RBC Rewards+ Visa Card has been added to various pages across our site such as our RBC page and Comparison of all travel rewards credit cards.